For those whose intimate, internal bodily movements and outer mobility are regulated by motor vehicle, this was a weekend of challenge and frustration. Without official warning, or public service announcement, Victory Boulevard, all eight lanes of it, were repaved between Kester and Sepulveda. It was possibly the first time it had been improved since all the pepper trees were ripped out in 1955 for its first widening. In the historical traditions of Van Nuys, the new Victory Boulevard project will come without any amenities: no bike lanes, no center median of trees, no decorative lighting, no plantings and no safe crosswalks. 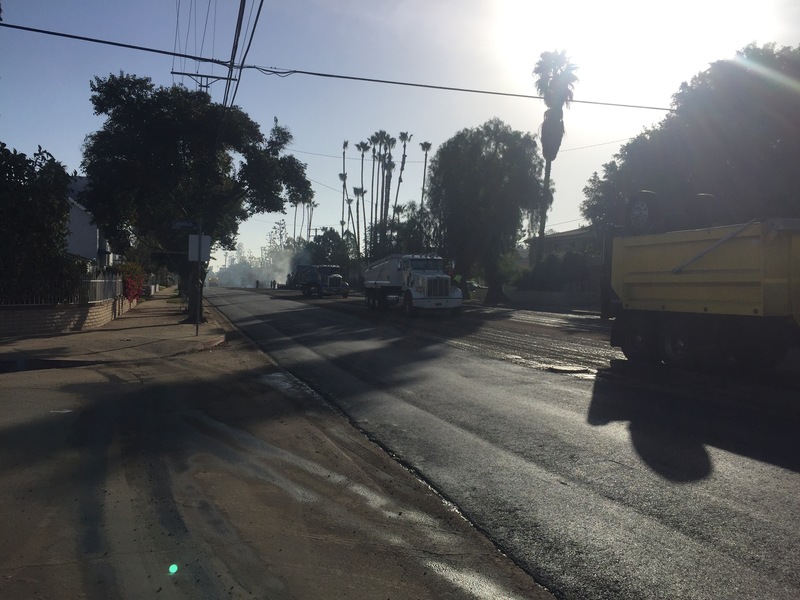 In our neighborhood, just north of Victory, between Kester and Sepulveda, the repaving anger was palpable, the pain deep, the suffering great. For there is a large colony of culinarily disabled people on our street. Large house payments prevent ownership of non-essentials, like coffee makers, so many of our neighbors, on weekends, get out of bed, slip into their SUVs in their pajamas, and drive three minutes to McDonalds, on Kester and Victory, to get scalding, industrial, assembly line coffee in Styrofoam and bring it back home. For them, the inability to drive to the drive-in was cruel. 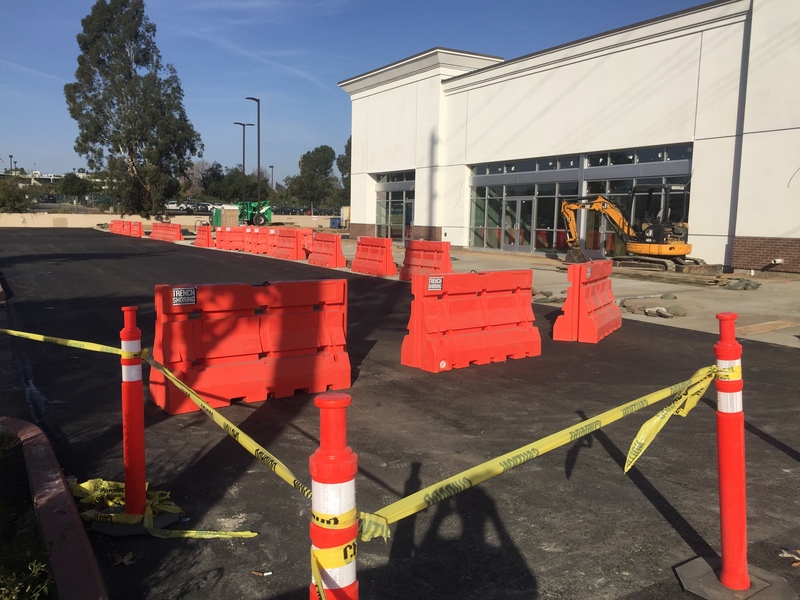 At LA Fitness, on Sepulveda near Erwin, a new mall is under construction on the north side, and there are also orange pylons blocking the parking lot entrance, which affects members at the gym by consuming valuable parking spaces. Yesterday, I saw an angry, old, black-haired woman driving around the parking lot of the gym in her prune purple,’71 Chevy Nova, unable to find a spot. Her mouth was spitting out a torrent of obscenities, her hands were like death grips around the neck of the steering wheel, she braked and accelerated in fits and jerks. She simply could not find a place for her car. Minutes earlier, a convoy of young moms met up for dance class and took up six handicapped parking spaces at the gym but the Angry Old Woman in the Nova knew nothing. A normal weekend on Victory Boulevard is full of nocturnal sirens, from ambulances, police and fire. Usually at least one person is shot by gun or run over by car, or a speeding, intoxicated driver flips over and is either gravely injured or killed. Bank robbers, who usually arrive by car, found no work these past two days at Chase or Wells Fargo on Sepulveda at Victory. All the workaday business of the boulevard terminated. This past weekend was eerily quiet. The lack of danger, the absence of tragedy, upset many who live along the eight-lane speedway. There was only a thick scrim of dust, on Saturday, to remind people that Victory exists to pollute and desecrate. When Victory Boulevard does not move with motorists, the people are alarmed, and demand a return to normality, which the repaved roadway promises to bring back tomorrow. I should have pointed out Andy’s own eloquence in his writing/s. It appears he keeps rising (as a writer) with each new occasion? So I truly hope and wish for him much success in his endeavors. I note that the internet has already managed to match, if not surpass one mammoth part of living in the real world; even now, there are those who go online and take…they take anything and everything that is free to them. But few are willing to give/share/help out their fellow men/women who may be in severe need. in fact, the stories of such people are likely to be most read, as the narcissistic tendency of the many is further emboldened for the sake of the few! Thank you Robert! I appreciate your kind words. I like the details and the intricacies of your description. I guess everything comes at a price. And nobody who drinks, washes or irrigates wants to wake up one day and find he cannot do so.